We are equipped to handle repairs both large and small on hot tubs & spas, so you don’t have to worry about the hassles of managing on your own. Hot tubs & spas can make a welcome addition to your home, especially when you enjoy relaxing after a long day at work or want to warm up on a cold winter evening. However, hot tubs & spas still require some servicing so you get the most from your investment. At Cayman Pool & Spa, we are ready to assist you when you need professional help with your hot tub or spa in Mooresville or Concord, North Carolina, and we provide a range of services to meet your needs. Cleaning – Keeping hot tubs & spas clean requires proper care, including using the right chemicals and keeping your equipment clean all year long. We can help you with selecting the right chemicals to get the best results, as well as provide cleaning services that keep your spa or hot tub in great shape. 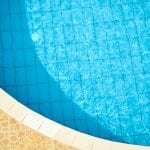 Repairs – It’s inevitable – sometimes hot tubs & spas need repairs. At Cayman Pool & Spa, we are equipped to handle repairs both large and small, so you don’t have to worry about the hassles of managing on your own. Just give us a call to schedule servicing! Supplies – We also provide all of the hot tub & spa supplies you could possibly need! We have two convenient locations in Concord and Mooresville, so all you have to do is stop in and pick up what you need. Cayman Pool & Spa is your go-to place for all your swimming pool and hot tub & spa equipment for your home. Come by and see us today! We’ll be happy to assist you! At Cayman Pool & Spa, we offer services for hot tubs & spas in Mooresville, Concord, Cornelius, Davidson, Harrisburg, Huntersville, Kannapolis, Statesville, Troutman, and the Lake Norman area of North Carolina.